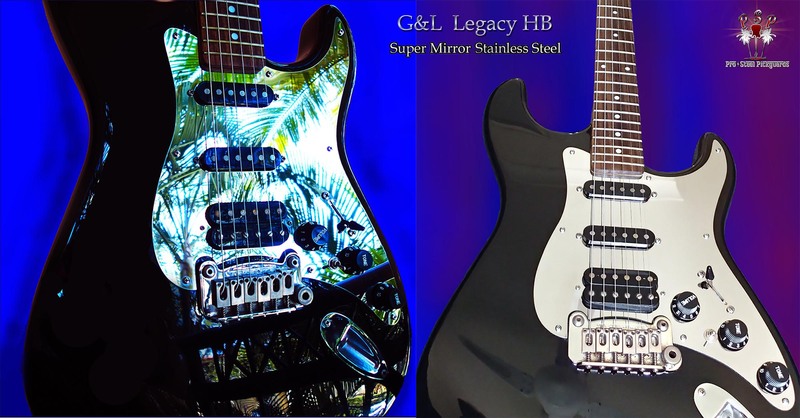 Special thanks to Peter from Tweed Heads for helping us with the guard from his very fine playing G&L Tribute Legacy HB, sounds great too. What, a guard of swaying palm trees? No, it's a reflection of Peter's lush garden.